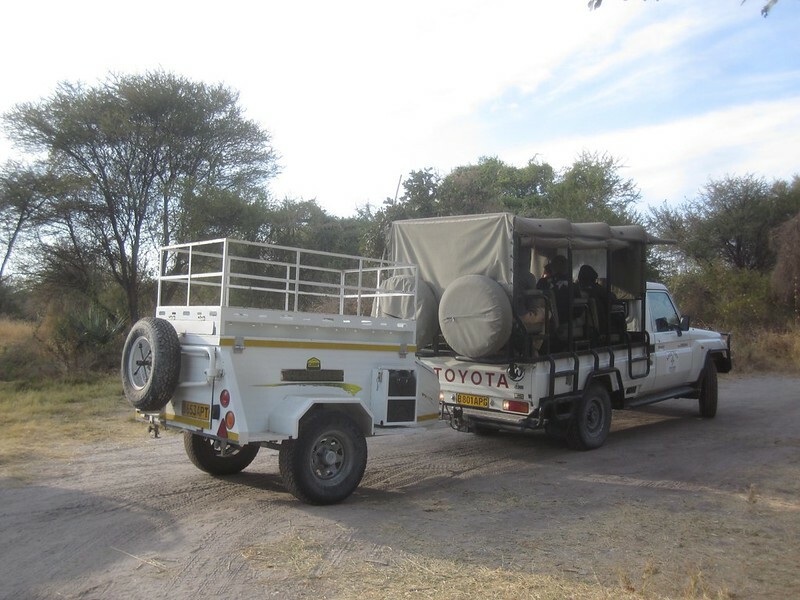 This is the truck that took us to the Okavango Delta in Botswana. 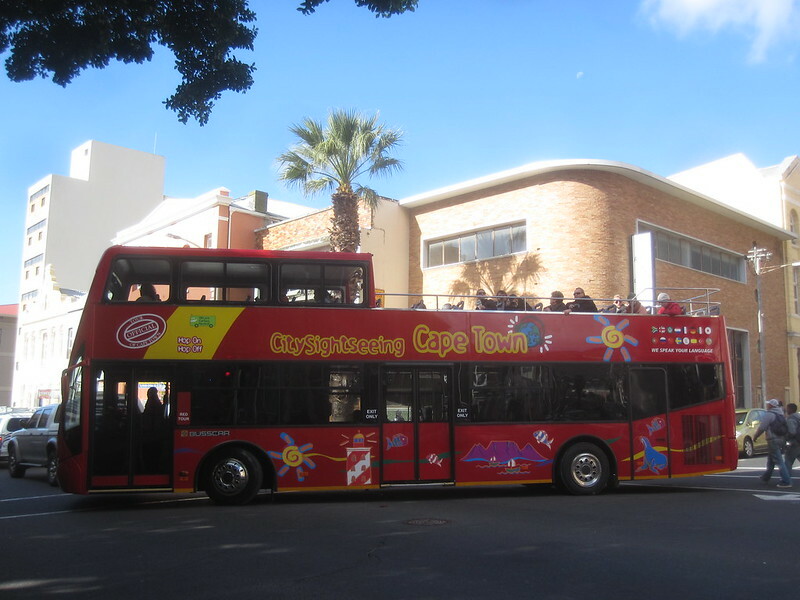 We took 17 people on the tour. We all loaded up in the trucks and drove to the edge of the delta. 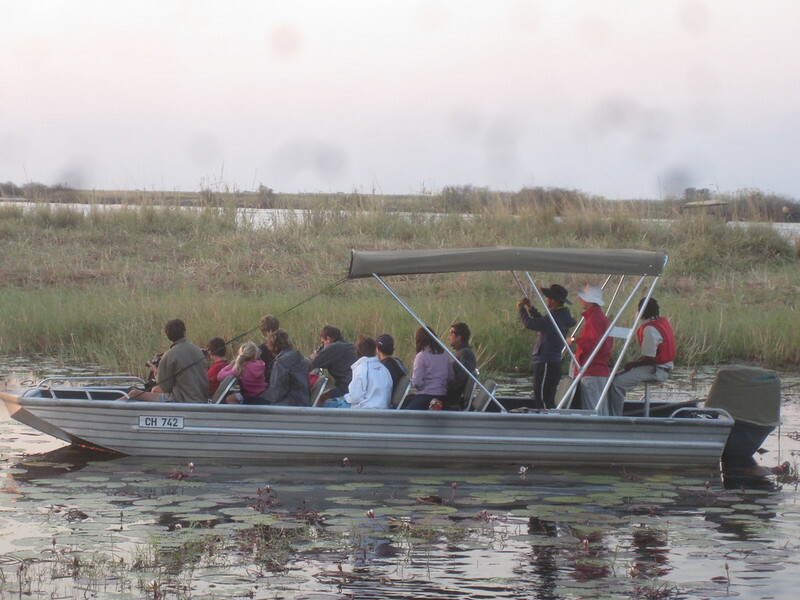 The Okavango Delta is one of Botswana’s top tourist attractions. We paid $145 per person to go spend 2 full days and 2 full nights with guides taking us through the delta and camping with us. The trailer held our gear as we had to take out own tents, food, cooking equipment and sleeping bags as well as any other items we needed. We had quite the little caravan going out to the delta. The trip was sponsored by the campsite/hotel where we were staying. Oh, and when we got back we got the Welcome Back to Civilization Buffet thrown in for good measure. What a deal! This entry was posted in Travel and tagged Africa, Botswana, Okavango Delta, Overland Trip, Tour on July 13, 2012 by Steve. It’s another boat of tourists. This boat was much smaller than our own. The small boats were quicker and more maneuverable. They got closer to the animals than our boat did. But our boat appeared to be more comfortable. We had much better chairs and we could get up and walk around on deck with no problem. 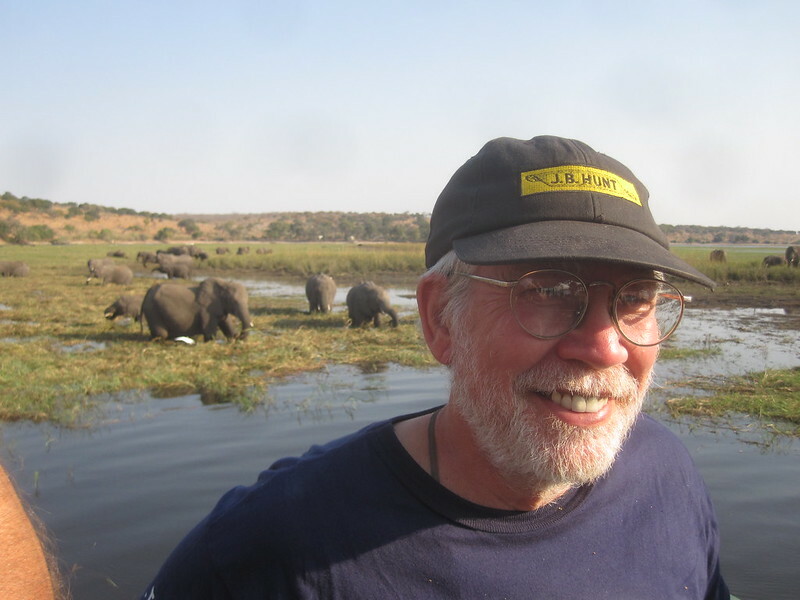 I was glad I had gone on the Chobe River boat ride. This entry was posted in Travel and tagged Africa, Botswana, Chobe, Overland Trip, Tour on July 10, 2012 by Steve. It looks like one of the local tourists is out visiting the elephants. This is the Victoria Falls Tourist Information Center. 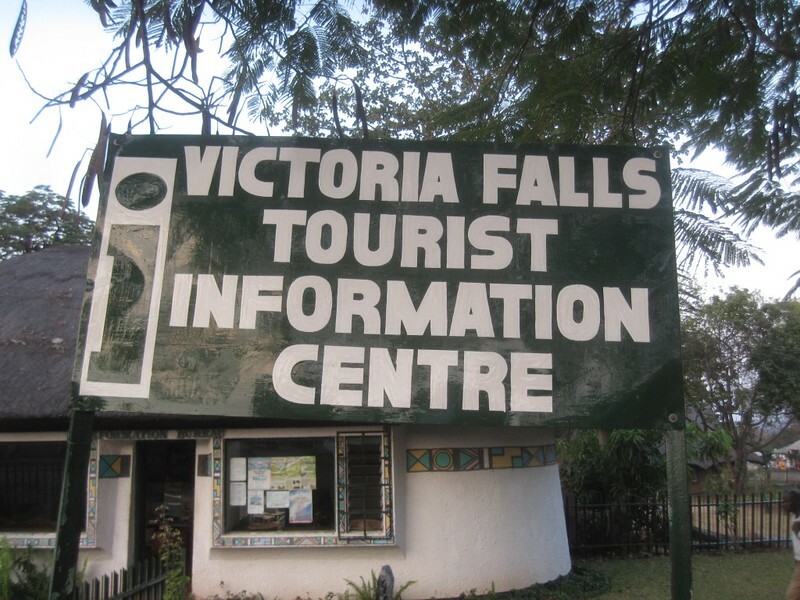 Yes, I have to admit that there are signs all over Victoria Falls that say that they are tourist information centers. But I believe that this is the real one. I went in and they didn’t have much to sell. I find that a good indication that it’s a real tourist information center. They did have a lot of brochures. Maybe it wasn’t the real one, but it sure did a good job of looking like the real one. I couldn’t find one that was any more official looking and I tried. Anyway, I got some good information and some good conversation from Faith, the morning guy at the Info Center. Note that the largest dimension available for this picture is 1024 X 768 as it was uploaded at a very slow bandwidth from a remote location in Africa. This entry was posted in Travel and tagged Africa, Overland Trip, Tour, Zimbabwe on July 6, 2012 by Steve. 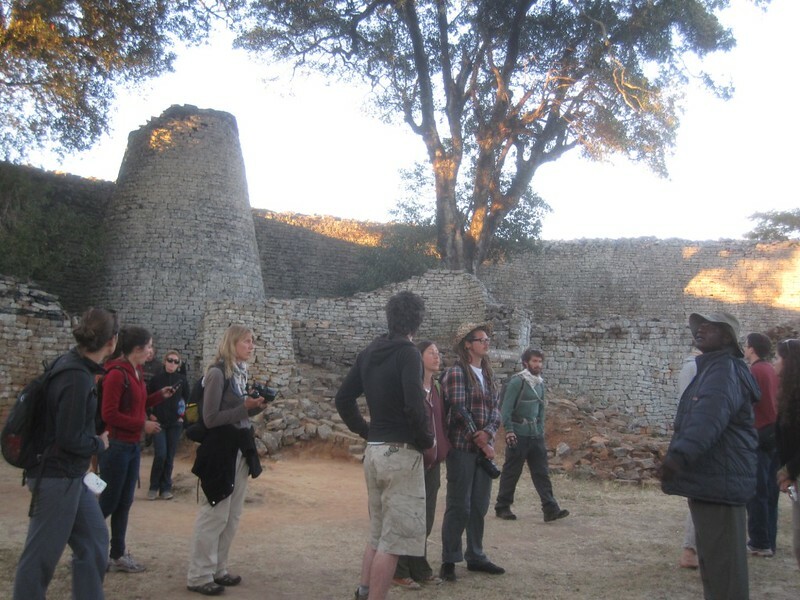 I finally got my tour of the Great Zimbabwe. The members of the group that wanted to take the tour had to get up pretty early. 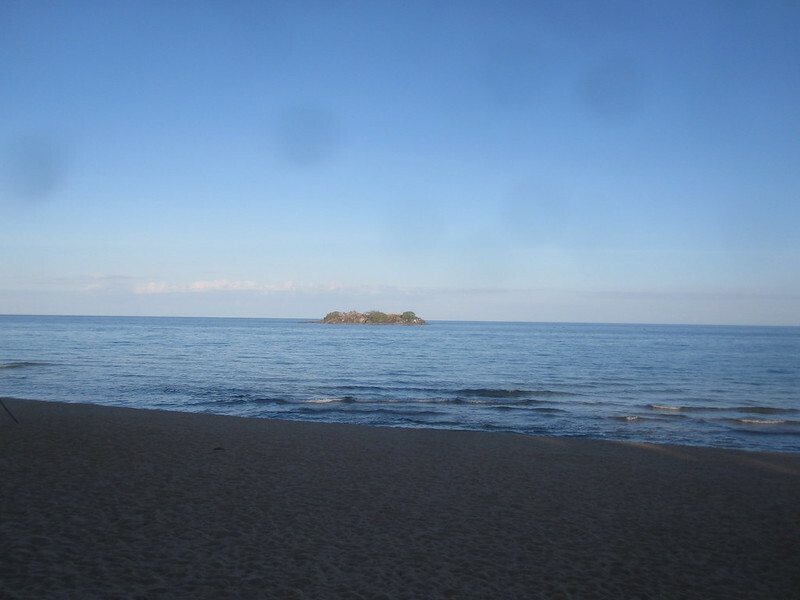 We went into the area to see the sunrise. It was quite nice. The sun cooperated with us and did a really nice show. We then toured the archeological site where we saw the remains of what is considered the most significant sub-Saharan African civilization of the pre-colonial era. The height of the civilization was 11-1400 A.D. The remains are significant. The people who lived there built some awesome structures. I plan on doing a little more research into the Great Zimbabwe when I get home. I’m surprised that the site isn’t more widely known, but given the political history of the country of Zimbabwe, I can understand why there hasn’t been more activity to gain a better understanding of the site. Note that the largest dimension available for this picture is 1024 X 768 as it was uploaded at a very slow bandwidth from a remote location in Africa. This entry was posted in Travel and tagged Africa, Overland Trip, Tour, Zimbabwe on July 1, 2012 by Steve. 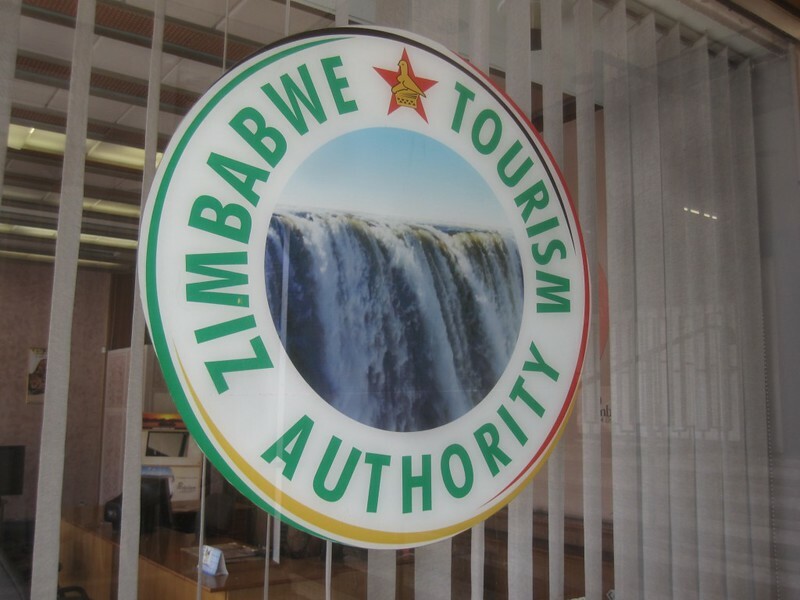 I went to downtown Harare and visited the Zimbabwe Tourism office. They had a real nice brochure about the country but not a lot of information on Harare. That was okay because there wasn’t a whole lot to do in Harare. I went to the National Art Gallery, the only museum in the city. It was closed on Monday, which was the day I went. I walked around the downtown section for about 2 hours, stopping periodically for a soda. I think I saw a total of twenty white folks during that period and about 50,000 black folks. Someone said that Zimbabwe is not very prosperous but downtown Harare looked like it was doing pretty well. There were lots of men in suits walking around with briefcases. Note that the largest dimension available for this picture is 1024 X 768 as it was uploaded at a very slow bandwidth from a remote location in Africa. This entry was posted in Travel and tagged Africa, Overland Trip, Tour, Zimbabwe on June 30, 2012 by Steve. 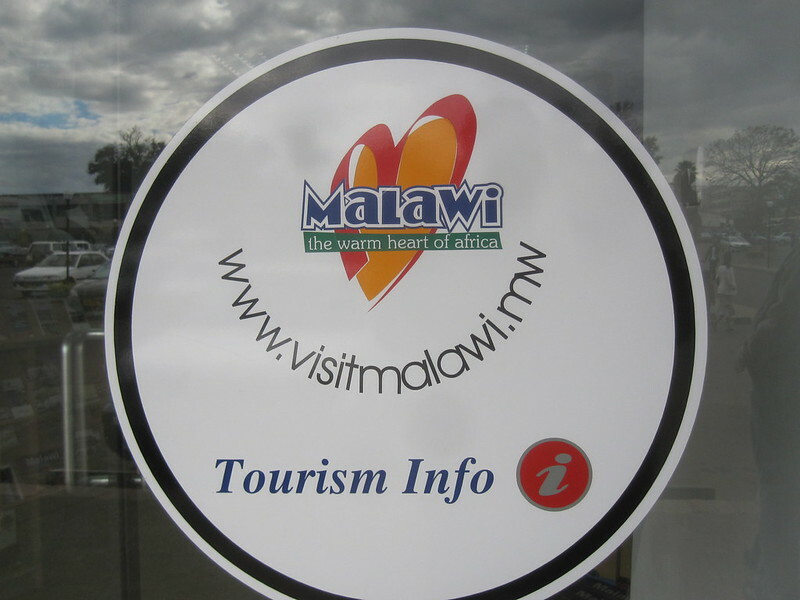 This is the sticker in the window of the office in the strip-mall that housed the Malawi tourism office. This strip-mall is in Lilongwe, the capital of Malawi. To my surprise the strip-mall was a very nice place and reminded me of a typical strip-mall that you would see in most of the cities in the mid-western section of the United States. The only difference was that there wasn’t a lot of white folks around. 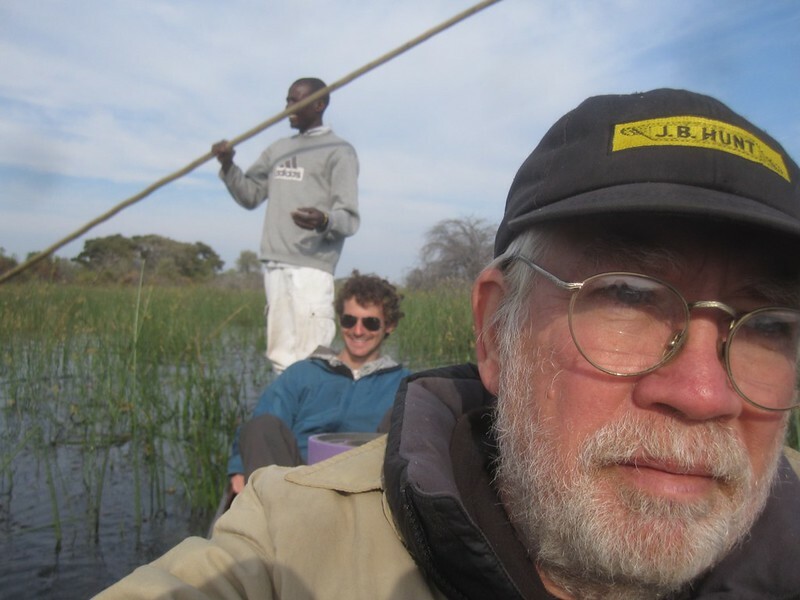 This entry was posted in Travel and tagged Africa, Lilongwe, Malawi, Overland Trip, Tour on June 22, 2012 by Steve.